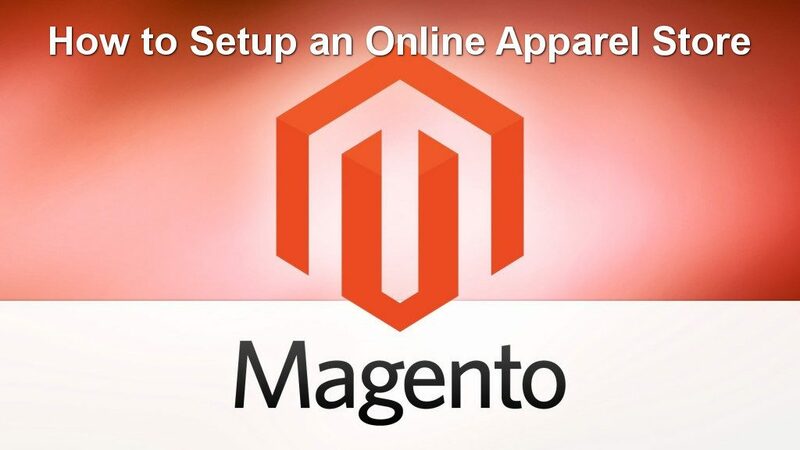 When starting an online apparel store on Magento, it’s easy to become overwhelmed in procuring or manufacturing great products to sell. However, without a thoroughly thought out online store, you won’t have the ability to sell your products effectively to your target audience. This article will outline a few key considerations and tips for anyone about to start a online store using Magento. When used correctly, cross-selling can dramatically increase the size of every individual purchase and boost the customer retention rate. The Magento platform’s custom module creator offers the greatest possibilities for suggestion the products that the customers are likely to buy. The key to apparel eCommerce success is personalization. Don’t forget that many people visit your online store not for the products, but for emotions the products can give rise. Both the Magento platform and the numerous analytic tools that can be integrated allow you to provide your clients with the shopping experience they seek. In addition, there’s a solution that can be developed to monitor your customers’ activity in social media. This is where the virtual ‘gold’ of fashion eCommerce lies today. Collect data such as wish lists, reviews, interests, etc. from your buyers allows you to better understand them. This opens limitless opportunities for developing products and solutions that will appeal directly to the group of people targeted by your apparel business. Do you know where your traffic will be coming from? One of the biggest mistakes many new entrepreneurs make is failing to identify a target audience. Once you have identified your target audience, your target market will influence every movement you make with your online store going forward. Once your target audience has been identified, think: why will this audience order from me? The online apparel industry is especially competitive, and bigger companies control large swaths of the online space. This doesn’t mean there isn’t room for another entrant, but all new online fashion stores must build a comparative advantage. Many have come to expect free shipping; brands that don’t offer free or low-cost options risk shopping cart abandonment. You will also want to decide what your store return policy will be; many top online apparel stores offer free returns. Ideally, you should calculate shipping and return costs, then factor that price into your margins. How do you plan to increase demand at low points in your sales cycle? Will you do “buy one get…” offers? Do you have a subscription plan to stabilize revenue? The types of discounts and specials you plan to offer will impact the complexity of the eCommerce platform and subsequent development you need. Mangeto is the best apparel eCommerce platform for implementing spectacular online stores because it offers numerous customization solutions, as well as facilitates market analysis. Magento gives you the opportunity to increase customer service, conversion rates and enhance the loyalty of your buyers. Contact Centennial Arts with the link below for more information or to get started on your online apparel store today!